Irwin Racing returned home to Mondello Park for the second event of the 2018 Dunlop Masters Superbike Championship looking to get some extra mileage before the next round of the British Superstock 600 championship and left with three very impressive second places for Caolán Irwin riding in the Supersport Pro class. 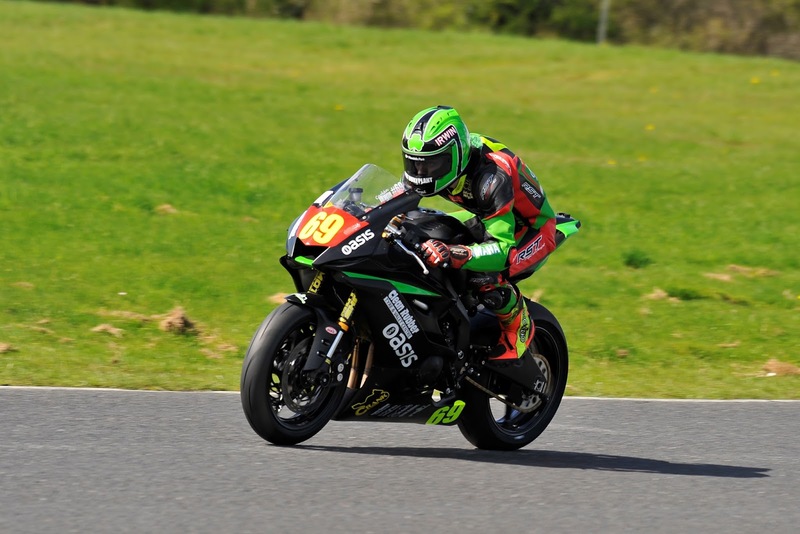 The Donegal based team came to Mondello Park to work on developing their brand new Yamaha R6 Superstock machine, faced with the extra challenge of running on Dunlop Tyres for the first time. 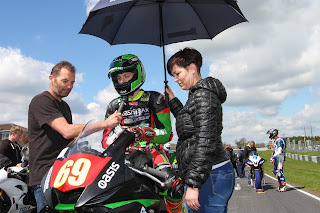 A good test day on Friday left them confident and Caolán backed that up with third on the grid for the opening race. When the lights went out for race one Caolán got a storming start to lead into the first corner, but as he arrived at turn three a localised rain shower had made the track wet and he backed off too much due to being on unfamiliar tyres. By the end of the lap his error had dropped him to fourth place but he quickly got back to third and headed off after second placed Dean McMaster. By half distance Caolán had caught and passed McMaster but despite setting fastest race lap, the leader was too far gone to catch so he had to settle for second. 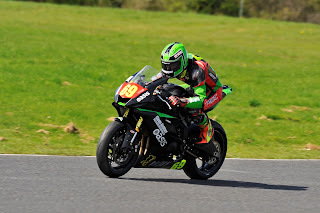 Running a Superstock machine with less power than the Supersport bikes he was up against, meant that it was always going to be a struggle to get to the front, but the Donegal youngster kept battling throughout. Despite getting a better start than McMaster in race two Caolán lost out to Supersport power on the run to the first turn and found himself in second once again. Over the remaining laps he pushed hard, but could do nothing about McMaster. He did however have the speed to stay ahead of the rest of the grid and make his second podium appearance of the weekend. Following their successful weekend at Mondello Park, Irwin Racing will go to Oulton Park next weekend, May 4th -6th, full of confidence as they tackle round three of the British Superstock 600 championship.